Tim had been suffering from incontinence for years as a result of an enlarged prostate. He tended to avoid going out with friends. His golf game even suffered and he began to lose touch with friends. After using makeshift solutions including tissue and feminine pads, Tim resigned himself to the fact he needed to do something. But what? He Googled ‘incontinence products’ and noticed a company named The CareGiver Partnership. He asked his wife to call them (he was too embarrassed) to find out what they might propose. The nice ladies at The CareGiver Partnership have over 10 years experience with every conceivable type of incontinence product - from all over the world - over 650 choices believe it or not. Each of the ladies has also been a caregiver so they understand the privacy and dignity issues surrounding incontinence. Abena, who makes a very absorbent brand called Abri-Man. You’ve probably not heard about them because the stores don’t offer it (not enough space on the store shelves). Abena’s Abri-Man pad insert provides a mix of excellent fit, protection and discretion (not showing under pants). Unlike pads for women, Abri-Man is anatomically correct with more absorbtion up front where men need it. Further, it’s shaped for the male anatomy. 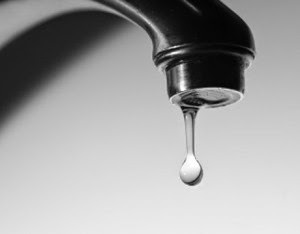 In men, an enlarged prostate can cause urinary leakage. Fifty percent of all men 50-60 years old develop an enlarged prostate. The percentage is approximately 80% at the age of 80, making an enlarged prostate one of the most common medical disorders in men. The products made in Denmark by Abena are far superior to the brands here in the U.S. because they are more absorbent and are offer extreme breathability. Plus, Abena knows that the same product will not work for both men and women and has created incontinence pads specifically shaped for the male anatomy. Abri-Man is a premium product. 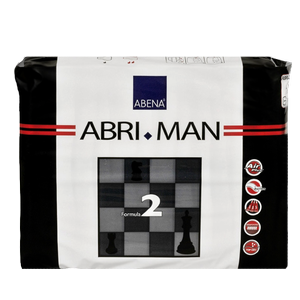 Abena Abri-Man incontinence insert pads are designed for men with moderate to heavy leakage needs. Abri-Man incontinence pads help you feel safe and secure while keeping you dry. They’re super soft and feel like cotton (which is great for sensitive skin). They also have a textile back sheet and breathable, non-woven side panels. Because Abena Abri-Man incontinence pads work better than ordinary brands found in the stores, you won’t need to change them as often -- or your sheets and linens. Best of all, you’ll avoid embarrassing leakage. While they may cost a little more initially, using fewer of them will save you money in the long run. The extra peace of mind is priceless. The benefits are cost in use, improved skin health and the most important - maintaining personal dignity. helping me figure out what to do and what to try. I would have never found these without their help. Because Abena is located in Denmark, they are an ecologically sensitive company and recycle 95% of waste generated. Moreover, 50% of the materials used are sourced from renewable sources. What’s most important to you is the use of natural, skin sensitive ingredients. Not harsh chemical bleaching, dyes and inks. They also absorb better than all the leading brands.